Located in Prestbury Park Cheltenham Racecourse is best known for hosting the prestigious Cheltenham Festival. Racing can be enjoyed throughout the National Hunt season at the popular racecourse in Cheltenham, Gloucestershire. 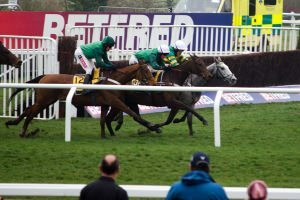 Cheltenham Racecourse is an ideal setting to enjoy high class racing throughout the season. The natural amphitheatre style environment can hold a massive 67,500 spectators ensuring everyone enjoys a racing experience like no other. Impressive horse racing is not the only event to be enjoyed at Cheltenham Racecourse. Home to The Centaur, one of the largest venues in the South West of England. Concerts, conferences and comedy shows have all be enjoyed here ensuring an unforgettable experience for all. Historically the first organised flat race was held in 1815 at Cheltenham on Nottingham Hill with the first races on Cleeve Hill in 1818. Since then the following decade has seen thousands flock to Prestbury Park for their annual two day meeting. A 3m flat race ran back then shared the name with the now prestigious Gold Cup. Cheltenham Racecourse is one of the most prestigious courses in the world. Set in the gorgeous Prestbury Park it most notoriously plays host to the Cheltenham Festival in March. Also famous for its 'roar', the atmosphere at Cheltenham is simply electric. Cheltenham Racecourse hospitality facilities are also as you'd expect; superb, with restaurants, private boxes and marquees available. Keep up to date with all the latest news at Cheltenham Racecourse in the build to the 2019 Cheltenham Festival. Experience the Cheltenham Roar in true style as you enjoy a race day like no other at this prestigious racing venue. Exclusive events celebrating special occasions held at Cheltenham will see The Centaur transformed into a first class venue. The highlight of this year is the upcoming Christmas Great Gatsby event. Christmas cheer can be felt throughout the venue on special days like this. Guests can enjoy a 20’s themed party with a difference. This is just one example of the special events put on at Cheltenham Racecourse that take you away from all things horse racing further emphasising what a great venue it is. Fancy a game of snooker? Horse racing is not the only sporting event to be enjoyed at Cheltenham. The Coral World Grand prix will in 2019 be hosted at The Centaur in Cheltenham. A six day period that brings together some of the greatest snooker players in the UK for an event like no other. Previous winners saw the likes of Ronnie O’Sullivan take the crown but who will be successful in 2019? Laugh the night away with impressive comedy performances in The Centaur. Over the years live performers have descended on the Cheltenham stage providing unforgettable shows for the viewing public. In 2019, the comedic action will continue with performances from Bill Bailey and Rob Beckett. Be sure to keep up with all that’s going on at Cheltenham away from horse racing. Little members can enjoy exclusive access and activities designed to enhance their love of horse racing. What a great initiative to get young people involved with sport, for free! 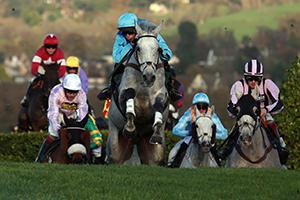 Eventmasters are delighted to be official corporate hospitality suppliers for Cheltenham. We have a wide range of VIP hospitality options throughout the season. Corporate guests can enjoy a private box experience like no other with our world class hospitality. The highlight event for us is of course Cheltenham Festival. There are plenty of exclusive facilities to choose from that will ensure a first class experience. You can indulge in fine dining, afternoon tea and plenty of other highlights that should not be missed. Limited availability for 2020 so be sure to book your Cheltenham Festival VIP experience early.